The WCCC Regional Authorized Testing Center serves the testing and assessment needs of individuals, businesses, communities and educational institutions. As a public testing center, our flexible and easy-to-access facilities provide rapid response to certification and testing needs for multiple purposes and more. We also serve individuals who need test proctoring for school, employment, or personal interests. Register online per the test provider’s instructions. Call 513-933-3936 for additional information and Testing Center details, schedules, etc. Main Campus Test Center Hours: Mondays:1:00-8:00 PM; Wednesdays & Thursdays: 10:00 AM-4:00 PM. Pearson Vue provides testing for Certification and select Professional Licensure. Tests include GED, Health, medicine, nursing and pharmacy, insurance, legal, real estate, financial services, employment and HR Management. College Board CLEP — The College-Level Examination Program (CLEP) allows students to demonstrate that they have acquired college-level mastery of course content in 33 different subject areas. ACT WorkKeys - a job skills testing system that helps employers select, hire, train, develop, and retain a high-performance workforce. 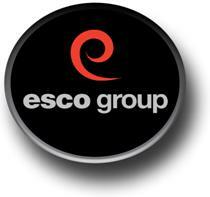 ESCO Group Certification exams for heating, ventilation, air conditioning and refrigeration, including EPA-608, Universal R-410A, etc. 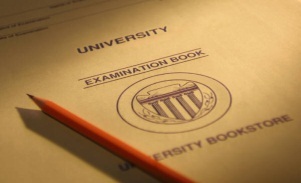 Exam Proctoring Proctoring services for colleges, university or other educational institutions and industry, government, individuals or community organizations.